Background: Each year, Burning Man Project hosts the European Leadership Summit (ELS) in a new place and in 2019, that place is Aarhus! This April, 200 Burning Man community leaders from 30 countries will gather in Aarhus and on Saturday, 13 April, we are opening our doors to the public! We hope you’ll join us! For more information about the ELS, check out our recent blog post on the Burning Man Journal. 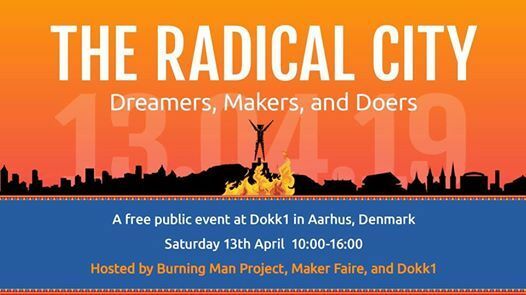 For the last 5 years, Dokk1 has also been host to Aarhus Mini Maker Faire and on this same April weekend, Maker Faire will bring producers together from all over Europe. 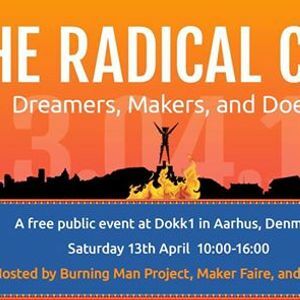 Together, we will engage the Aarhus public for a day of creativity, exploration of what it means to be a “Radical City,” and a lot of FUN! Just as Burning Man and Maker Faire are places where dreamers, makers, and doers can showcase their work. 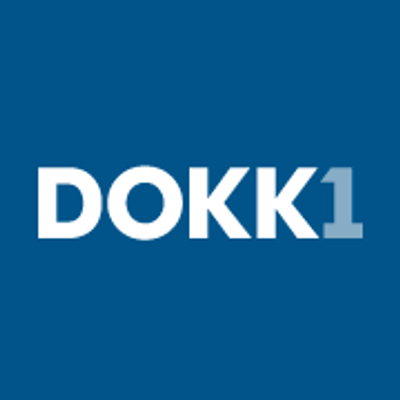 At the European Leadership Summit and “Radical City” event at Dokk1, we’ll be exploring the dynamics of our roles as citizens in both temporary and permanent cities. Together, we’ll address questions that pertain to issues of public space, city activism, urban impermanence, self-expression, governance systems, community-building and fostering sustainable cities.